This is one of my favorite outfits because I get to wear my chihuahua LuLaRoe leggings! The top is an XL Randy and I love it because it covers everything and is so so comfy. 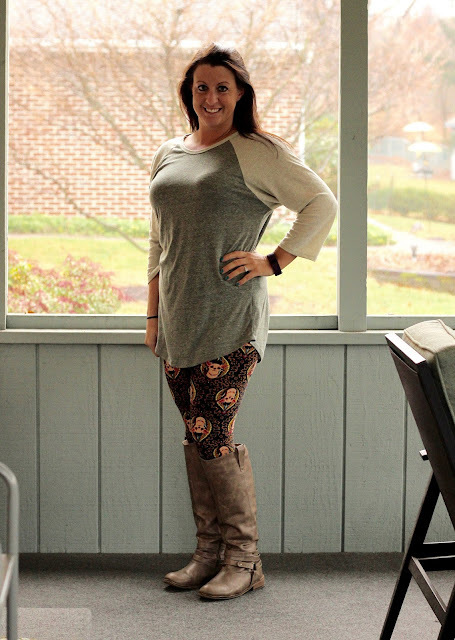 I love relaxed fit and slouchy clothing so I'm in heaven! Who ARE you woman and what have you done with Ellen? LOLOL! 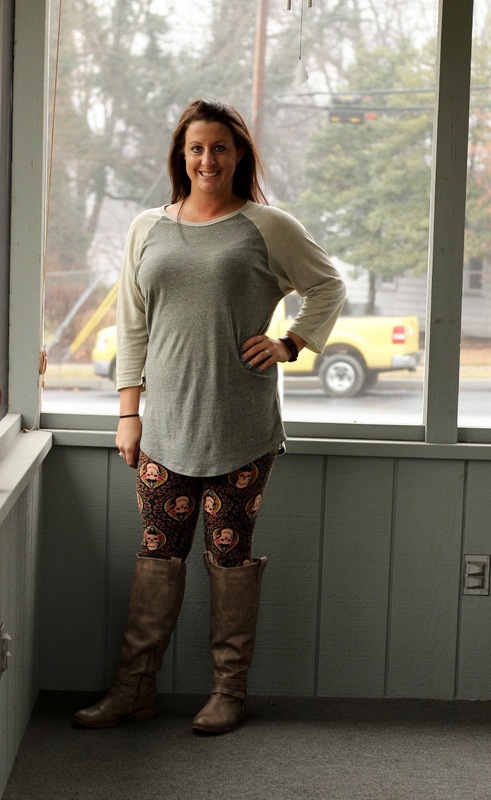 Of course had to get those leggings.